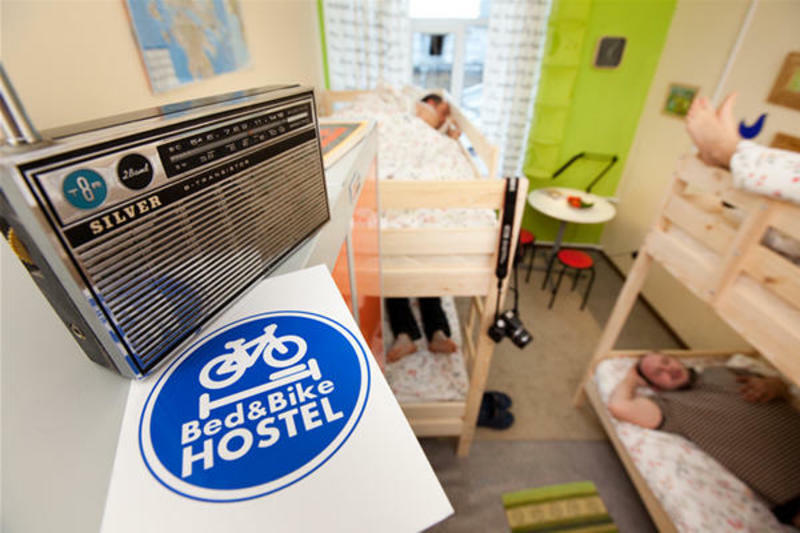 Welcome to Bed&Bike hostel. 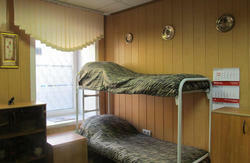 We are located in the heart of the Northern Capital of Russia - St. Petersburg. From our windows opens spectacular views over the city and its places of interests, as well as the great Petersburgs roofs, which, if desired, by the way, you can walk on. Across our street is the house of the famous hero of Dostoevsky - Rodion Raskolnikov. Also you will find many surprises. Every day we invent something new for our guests. For example we cook beetroot soup or we organize an authors cinemas screenings and other events. But the most important thing is that we have a bike rental service only for our guests. Because St. Petersburg is the best place to explore by bike. We have visited many countries and cities, staying in campgrounds at the beach, hotels in the heart of European capitals, the Sicilian villas, the apartments at the Alps. We hung around with couchserfers and of course lived in the hostels of all kinds. One day, sitting in a cafe with a cup of cappuccino and coming up with the route of the next trip, we started thinking about where we would like to stay during our trip. We wanted our hostel to be close to places of interests. Then the hostel should be very comfortable. When you come to the hostel and you see a smiling stuff and visitors. We have shops, which are open for 24 hours right in our building and across the street, ATMs and currency change services in the neighborhood. Not very far from us boils St. Petersburg's night life. 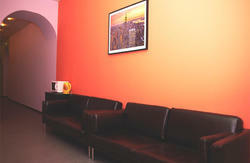 You can easily get to the club, but if you want to relax, then quickly get back to a quiet hostel. And of course, in the heart of St. Petersburg you can find many restaurants, cafes and bars and some even welcomes the guests at night. So you can taste Russian cuisine, as well as many others, and compare with your previous experience. Now in St. Petersburg, the most popular Japanese and Italian cuisines. Sushi and pizza can be found almost anywhere. If you want to use a public transportation: Sadovaya subway station is not far away as well as trolleys and buses stops. You can also call for a taxi right from our hostel if necessary. This is so easy to get to our place. You should leave the subway station 'Sadovaya' on the Grivtsova lane and reach the first intersection with the Griboyedov Canal. Go over the bridge and turn left. This is Grajdanskaya street and now you need the first intersection again. That this is our street, and here is the house of the famous character of Dostoevsky - Raskolnikov, is located across the street. Turn left where the very first arch on the left hand is our entrance. After 20 meters straight to the door. Here we met.